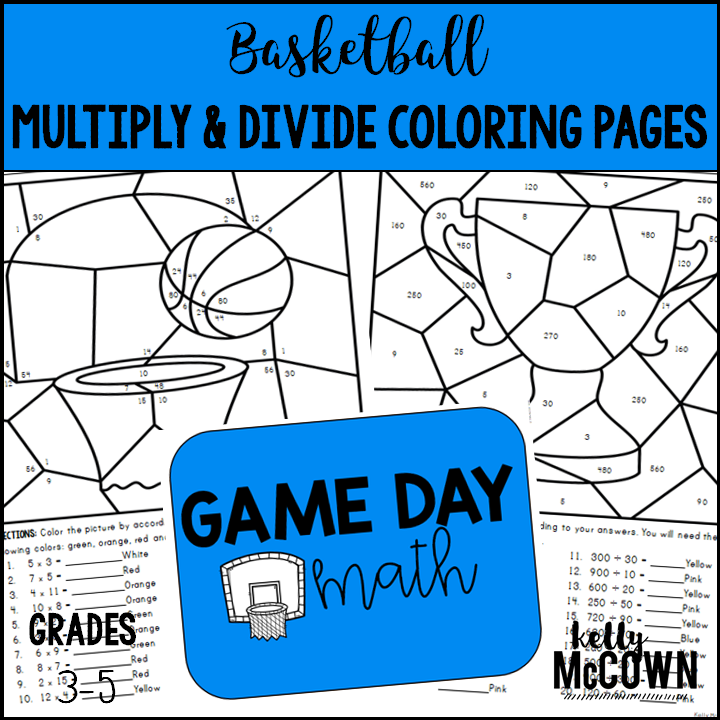 Do you want to make connections between basketball and math? Are you ready for the BIG GAME on April 2, 2018? The Basketball Game will take the stage in San Antonio, Texas to showcase two great teams. 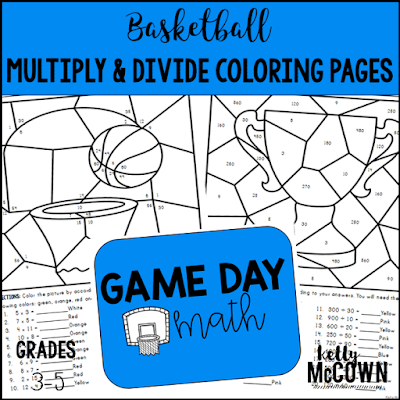 These Basketball Multiplication & Division Coloring Pages feature different team colors to represent the Villanova and Michigan that will be playing in the game. 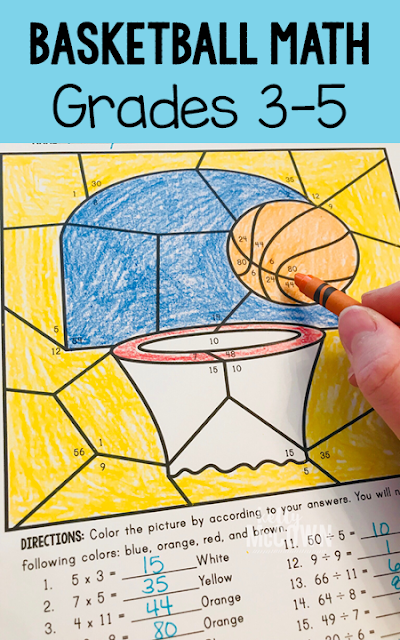 Engage your students in fun math review of multiplication and division. Connecting real world events to math can make it more exciting. I hope your students enjoy this too.